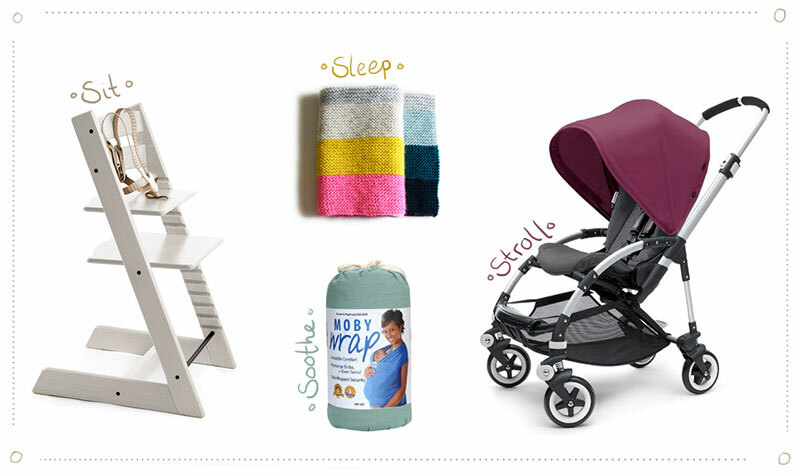 When I was pregnant with Ylfa I loved looking up baby essential lists on blogs. I can't say I'm an expert on what is best for a baby and I think everyone has different taste and needs when it comes to their babies. But I really wanted to share with you just a few of the things that made the most difference for me and Ylfa. SIT - I actually did not look into many possibilities when it came to picking out a high chair. I knew exactly what I wanted. I never had a Tripp Trapp myself when I was little but both of my younger brothers had one and I used theirs on daily basis when I still lived with them. The chair can be used from the time a baby starts to sit until it dies from old age. It is a very comfortable chair even for adults. It comes with a harness and for extra safety and comfort we added both the baby set and a cushion. SLEEP - When my nephew was born a friend got him the cutest little blanket she had knitted for him. It was made with 100% merino wool and it was so soft and warm. When I was 27 weeks pregnant with Ylfa I went back to Iceland and had nothing to do all day every day, so I decided to knit a similar blanket for my baby. We have used it so much! When she was tiny I wrapped her in it for breastfeeding, we use it in the stroller when we go out and she has slept with it so many cold nights. I found pattern for the same blanket on the Purl Bee. SOOTHE - I think this made the most difference out of everything. She instantly went from fuzzy to calm when I put her in the Moby wrap when she was a newborn. It was also perfect for that period of time when she wanted to be held all the time. I could just pop her in the wrap and have my hands free. We still use it if I need to go somewhere in the city by my self, and she always becomes so happy if she sees me put it on. STROLL - We looked into a lot of strollers before we got set on the Bugaboo Bee. In Iceland we borrowed an Emmaljunga and we were thinking about buying one of those but after using it for a while I realized that we really needed something much lighter and compact for San Francisco. After much research we found the Bee would be the right choice for us. I could not be happier! It has been so easy and comfortable to travel around the city with it. It is the perfect city stroller. When I need to take the bus somewhere I can just press two buttons and it folds completely together and put it on my shoulder while carrying Ylfa on the other hip or in the Moby wrap. The extra good thing about it is that it also grows with the baby so we don't need a new one when she gets bigger.